Hi friends first of all welcome on our official website of Neemkathana. HERE You can check latest news , breaking updates, offfical notification of any announcements from Nkt markets, schools, colleges etc. all of you know about Nkt is Short Form of Neemkathana. Neemakathana is Well Known As Education city of Rajasthan. Where No one can beat in this Field. 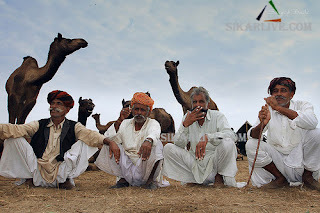 Neem Ka Thana is a City in Neem Ka Thana Tehsil in Sikar District of Rajasthan State, India. It belongs to Jaipur Division . It is located 66 KM towards East from District head quarters Sikar. It is a Tehsil head quarter. Neem Ka Thana Pin code is 332713 and postal head office is Nimkathana Town . Naya Bas ( 4 KM ) , Bhoodoli ( 4 KM ) , Bhagega ( 4 KM ) , Kotra ( 6 KM ) , Jheerana ( 9 KM ) are the nearby Villages to Neem Ka Thana. Neem Ka Thana is surrounded by Khandela Tehsil towards west , Udaipurwati Tehsil towards west , Sri Madhopur Tehsil towards South , Khetri Tehsil towards North . Neem-Ka-Thana , Udaipurwati , Sri Madhopur , Nawalgarh are the nearby Cities to Neem Ka Thana. There are people types on Google these keywords like :- Nimkathana.com, www.nimakathana.com www.neemkathana.com , neemkathana colleges ,schools admission tips, sabji mandi bhav, etc.